The most awaited result of Soulflower Rs.1000/- Gift Voucher Giveaway is here! But before I declare the winner, I want to thank Soulflower for this wonderful collaboration. I would also want to take this opportunity to thank all the participants for being so actively involved in the giveaways. For your knowledge, I have listed down all the 258 entries I received in an xls format and the sequence is based on the same order in which you have sent me your entries. 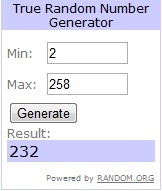 Winner is being selected using random.org. As there will only be one winner, rest don't be disheartened. I would come up with another giveaway very soon, I promise! So, lets see who the winner is! The winner is none other than Vish Anne. Congratulations Vish Anne. Please send me your mail address to lavanyasrecipes@gmail.com within 48 hours. If not, I will have to choose another winner. Once again, I thank you all for making this giveaway a huge success. Very soon, you will get to see another giveaway at my space. Keep visiting! Wow, congrats to the winner! Ur welcome dear. 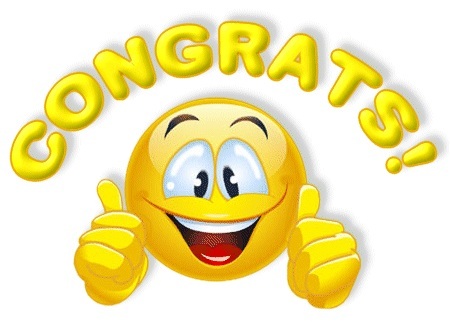 Congrats to u!